We’re more than halfway through Halloween in Springfield, and the real Halloween is fast approaching. 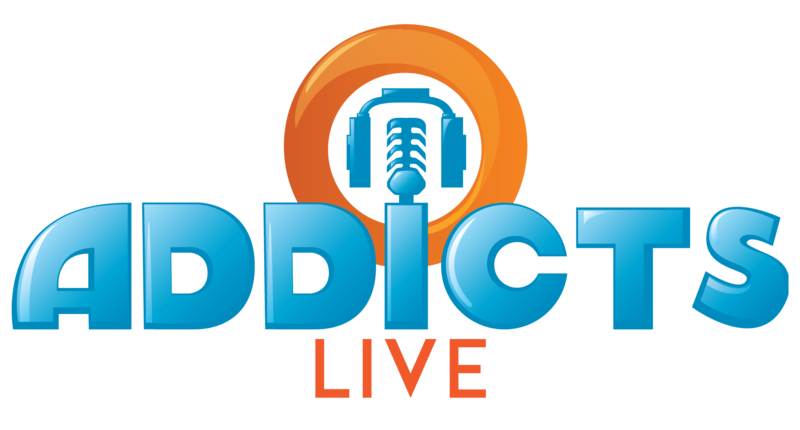 In this episode of Addicts Live we’ll breakdown Act 2 of the THOH Event, look ahead to Act 3 and do a little forecasting about the next events in TSTO! Plus, we’ll be diving into the very controversial Simpsons Treehouse of Horror XXIX episode…find out why everyone is talking about it! And you won’t want to miss our Halloween costumes this year! Thoughts about Simpsons Treehouse of Horrors XXIX Episode? Also, reports are showing that The Simpsons will be dropping Apu, what do you think about this? This entry was posted in Addicts Live, Podcast, Tapped Out and tagged Addicts Live Stream, Tapped Out Halloween 2018, Tapped Out Tips and Tricks, The Simpsons Season 30, The Simpsons Tapped Out, The Simpsons Treehouse of Horror, TSTO Addicts, TSTO Halloween, TSTO Podcast, TSTO THOH XXIX, TSTO Tips and Tricks, Whats next in TSTO?. Bookmark the permalink. Tell that to Mike Reise. ….I suppose it will be “watch and see”? Yep… as I said in 5e live show…just make him disappear. They did a whole cotest for a script to “solve the problem.” They chose one…and then also chose not to produce it. So…ambiguity is a tactic too I suppose. Fascinating Addicts Live, a true example of art imitating life or in this case art imitating blog. Safi’s departure in this episode could not have been timed any better. To tell the truth I’m not sure is wasn’t planned. To add my 2 cents to this topic I offer two words, Don Rickles. He was one of the funniest people in the world and there is no way his career could start in today’s sensitive climate. He poked fun at EVERYONE. I was fortunate to have seen him live years ago in Las Vegas. The demographics of his audience was mind blowing. There wasn’t one “group of people” that was not represented in that venue that evening and we all laughed our butts off. Who the hell could pull that off today? All nonsense aside and since it’s going to happen. Apu deserves a better send off. Simply to delete him without mention is cowardly! Alissa what was the punchline to your joke. How do you know if an Italian is broke.. This annoys me as they copped out and got rid of a classic character because a few think we we honestly portrait the character as this is how there culture really is. Wow. I have a Indian as a doctor. So hmm. Also I guess chief Wiggum, Homer to name a few should be as well. 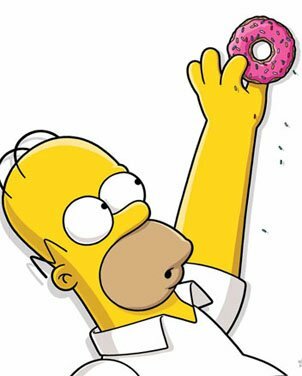 all cops eat donuts and homer is a blue collar lazy fat blah blah. We can go on and on. All Italian own restaurants. Please. All because polical. Drives me insane. I’ve watched this show from beginning. I guess my issue with this whole thing, is that just about everything on the simpsons is a parody. Will they be writing out fat (or fit) Tony and his gang, and Luigi, to appease Italian folk? Bumblebee Man won’t be exclaiming, “ay yi yi!?? Everything about Krusty is a parody of Jewish entertainers. Ned Flanders and the Bible is constantly made fun of. Smithers represents for closeted gay people, Cletus is a poke at poor country folk (or as he preferred to be called, Hill-williams), and comic book guy is a direct lampoon at a lot of the people who buy their comics and collectables. I could go on, but my point is- be consistant. Leave a hardworking immigrant alone, or frankly just pull the plug. Love Apu and will miss him. I do understand. Am I hurt over Willie, the angry, ugly Scot, who burns everyones eyes when his kilt blows up and shows his bum? No! But am also far from hugely identifying with my Scottish ancestry. Have also yet to see, though, Scots being mocked for their accent, or for any kilt wearing escapades. In fact, happen to love me a man in kilt, and the Scottish accent is absolutely swoon inducing, if we still swooned these days! 😁 The experience of the accent of some other cultures, in my understanding, is very different. As Russell Peters said, “We (they) know how funny we (they) sound, we don’t (they don’t) need you imitating us (them) to show us how we sound.” He does a great bit on it! So, if it happens a lot, I can see why people would be upset. It also stopped being as politically correct to be derogatory to women, with the idea chicks should just get over it. OK…Look…to be fair…there is just so much to laugh at with the Scots. I mean you all take yourselves so seriously!! So…Ireland, England and Scotland could fit into Texas twice and still have loads of land left over. But, it is amazing how territorial and tribal you guys are. It’s almost like the insane political differences between Virginia and Rhode Island! Oh. Wait. Bad example. How about Utah and Idaho? Oh. Wait…another bad example. You get my point. geography and accents shouldn’t determine “lesser than” in anyone’s mind. Point is…if we CHOOSE to see the differences in everyone…we are going to focus on what makes us different…choose up tribes…and decide that we need to protect our tribe. I prefer to focus on the things that make us the same…like the 99,999% of our genetics (we all came from Northern Africa) and the fact that we all deserve an equal chance at happiness and success. Wonder if they’re going to kill Apu off, or just make him an unperson? PC madness. They’ll just write him off. Gone. An unperson. He’s been terribly entertaining and a credit to all Indian-Americans who own 7-11s and motels. They should get him to run for Governor like Nikki Haley. How many Caucasians does it take to change a light bulb? Moose the football player is taking an eye test, and hesitating. Doctor asks if he can’t see the chart, Moose replies that he is just trying to remember what team the person plays on. 50 year led Burns and Schreiber routine. Avery is a cabbie, Jack is the passenger telling a joke about two mule skinners. Just an observation from a white male who hasn’t had to personally deal with too much derogatory. if they’re dropping Apu, do you think he’ll be removed from the game too? Be the best house on the block this Halloween. I’ve already offered my comment on this year’s Treehouse of Horror episode, but I guess I could still sum it up by saying it would be better as an hour long special with only two stories (The Simpson’s writers are tasked with the impossible – trying to parody a story in 6 to 8 minutes – that’s impossible and it’s creating a lackluster disjointed Halloween special). Hi I am also Scottish and love Willie ! Getting rid of Apu….Crazy, but a sign of the times, crazy crazy times! Alex Jones didn’t think he could be cancelled. You never know in this environment. Alex Jones is an extreme example. But there have plenty of people kicked off Twitter, YouTube etc because someone complained and someone at the company agreed with the complaint. It may be only a few days or a few weeks, but it happens. The Alex Jones Show wasn’t cancelled, YouTube, iTunes and others banned him. You can still listen to his podcasts on his website. I’m not an Alex Jones fan, as he makes his money by taking a grain of truth and spinning it into wild conspiracy theories, (yet I must admit, he did a great undercover expose on the Bohemian Grove— but as you say, Patric, I digress). I do worry about this slippery slope we’re on. If you want to listen to Jones, you have every right to. If you want to buy his colloidal silver and “end of the world” rations— have at it. That’s your choice. I don’t appreciate having others decide for me what I can and cannot listen to and watch. This is dangerous territory we’re treading on. Happy Halloween all and I agree with one other post but will make a slight change and that is leave hank voicing Apu but get people from that culture to help revise the character (work with Hank to portray him a little better but still keep some of what we know him as for a compromise) and make new ones to add to the show because if they drop Apu they might as well drop Manjula and the Octuplets. The writers are going with what they are told. 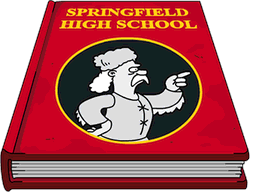 Saying that “the Simpsons have stereotypes of everyone” is not entirely true…there are no negatively portrayed black characters. It isn’t acceptable in today’s culture to lampoon the black culture, although it was widespread 30 years ago. I don’t like how they’re handling the issue, but I am not bothered by it being an issue. The lowest form of comedy is making fun someone’s elses culture or background, and I think they can do better. Uhm….I’m afraid I have to disagree with you. Kitenge? Lucious Sweet? Jay G? And Chester? Come on…I guess you’d have to be black to understand the stereotypes there. Oh. Wait. No you don’t…. About the Tree House episode…if they had expanded the intro into a larger part of the show, they might have had a better episode. Pod people was a great opportunity that totally missed the mark, and the Geriactric Park should have been a seperate episode entirely. Thank you to the TSTO addicts team for all your help and everything you do it really helps me especially with new events because often times I’m confused at the beginning of an event. I’m liking the event I got all the relic prizes for act 2. I’m just trying to get the she wolf character hopefully I’ll have her soon. I’m kind of a completist when it comes to things like characters although I’m not a big fan of devils I was pretty happy when I found out he can earn event currency as well as Beatrice who I bought as well. Because I didn’t think she would earn event currency but I was pleasantly surprised by that and happy about it. Even though I’m not behind with getting prizes. Thanks to Patrics calendar I’m about a day and a half ahead. I think getting rid of Apu is just stupid. If you have a problem with how a group of people or culture is being portrayed, create new characters for the show that portray them how you want them to be represented. I’m sure there are plenty of actors from that culture that could even voice those new characters. It’s really an easy solution. There’s room for Apu as he is and new updated characters. Seriously…how do u get rid of an original beloved character like that? Are they all drinking the special kool-aid? An employed, hard working, married, father-character? Thats just crap. Controversy? Really? THIS is what they back down from? Wow. Cop-out. Then its just over. Cancel the whole show already. So sick of all the hyper-sensitivty. Get over yourselves and learn to LAUGH. Life is too short to find fault with a CARTOON character.